Puzzles are not limited to 2D Jigsaw Puzzles, amplify your puzzle experience with this 3d pencil cup Puzzle from Ravensburger! 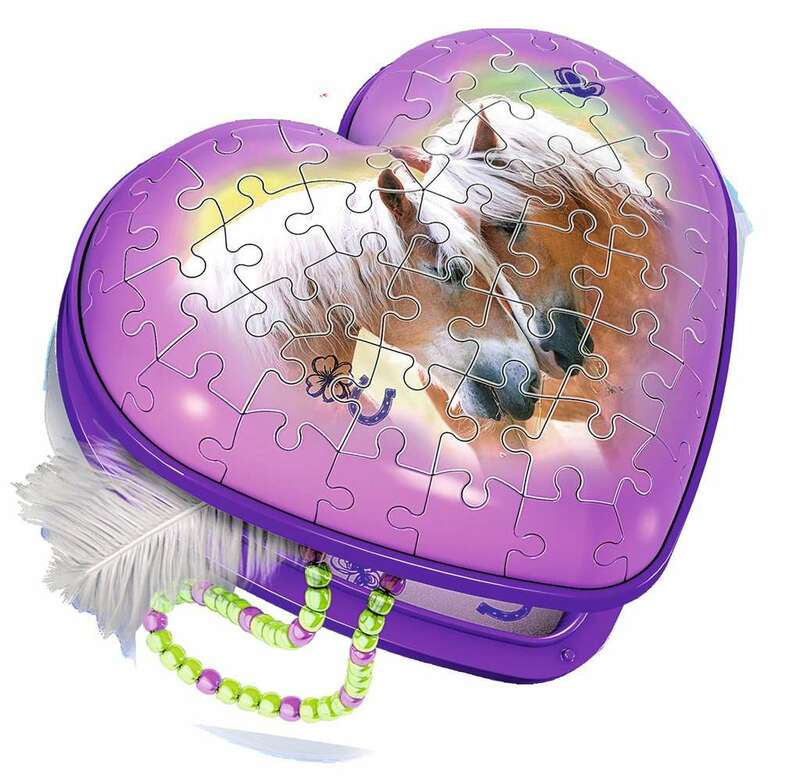 Follow the numbered pieces or challenge yourself and follow the image to put together a horse-themed heart-shaped case.This 3d Puzzle is perfect for storing notes, supplies, or costume jewelry! Ravensburger’s 3D puzzle pieces are sturdy and interlock perfectly to create unique 3-dimensional shapes that stay together with no glue required. 4.1" x 4.4" x 1.9"